The apartment is close to the Metro station. The host was very nice to guide us making the self check in, but the door sometimes was difficult to open. My friend’s room is vey big with separated kitchen and washroom, as well as a king size bed. Compared with their room, ours is smaller but more expensive. It was very cozy, clean and welcoming, and a good price-quality ratio. Very flexible to check-in and it is a short distance to walk to the U line. Interior is a little bit unusual, but that is why we really like it! It is very comfortable, interesting, nice and clean. Very good location. The hosts were great and very accommodating.The apartment is spacious and extremely clean. The location to the train was convenient.The kitchen is well equipped and user friendly. The apartment building is quiet and relatively clean. We will definitely be returning, loved everything about it. 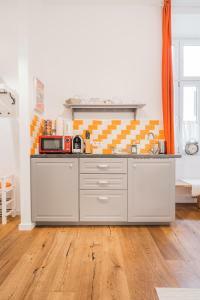 We really liked our stay in Vienna, partly in thanks to the Vienna-Vintage Apartment. The apartment was clean and pleasant, and the neighborhood was really great. We found it very easy to access public transportation from there, and it was fun to sample the neighborhood restaurants. We felt like we were living like locals and enjoyed it much more than staying at a traditional hotel. Nice apartment, has all you need for preparing food. They supplier appartment with coffee machine and coffee capsules. Very well furnished. Great and comfortable beds. We had very pleasent stay. The bilding is in the inner yard of the other buildings so there is no street noise. Location is 15min by foot from Mariafilfer. I would recommend it! Apartment is beautiful, very clean and kitchen had everything we needed. The espresso machine was extra fun. Location is great, nice neighborhood, close to a subway station. 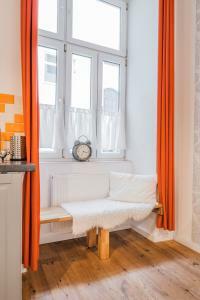 Lock in a great price for Vienna-Vintage-Apartment – rated 9 by recent guests! One of our best sellers in Vienna! 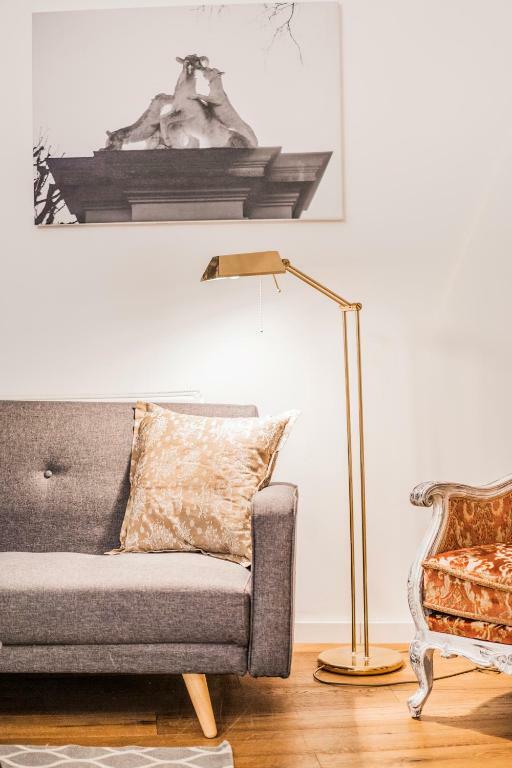 The Vienna-Vintage-Apartments are located 1,950 feet from Raimund Theater and a 5-minute walk from the Margaretengürtel Underground Stop (line U4) which provides direct connection to the city center within 10 minutes. Private parking is available on site for a surcharge. 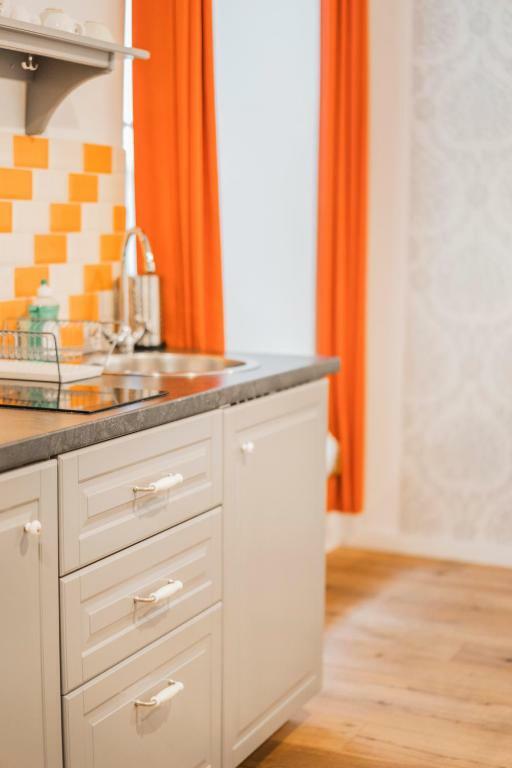 The vintage-style apartments come with a spacious bathroom with shower, a kitchenette, a dining area and a TV. They have either a separate living room or a combined living and sleeping room. Several restaurants can be found around the corner from the property. Kunsthistorisches Museum is 1.2 mi from Vienna-Vintage-Apartment, while Naturhistorisches Museum is 1.2 mi away. The Naschmarkt is 1 metro stop away. 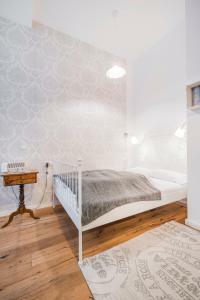 When would you like to stay at Vienna-Vintage-Apartment? This apartment consists of 2 bedrooms, a spacious bathroom with a double washbasin, and a living area with a kitchen, a dining area, and a sofa bed. Please note that the baby bed mentioned in the property policies is a portable cot. This modern vintage-style studio consists of a bathroom with shower, a kitchenette with a dining area, and a combined living and sleeping room with a double bed and a sofa bed. 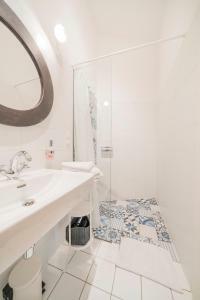 This modern vintage-style studio consists of a bathroom with shower, a kitchenette, and a combined living and sleeping room with a dining area, a double bed and a sofa bed. 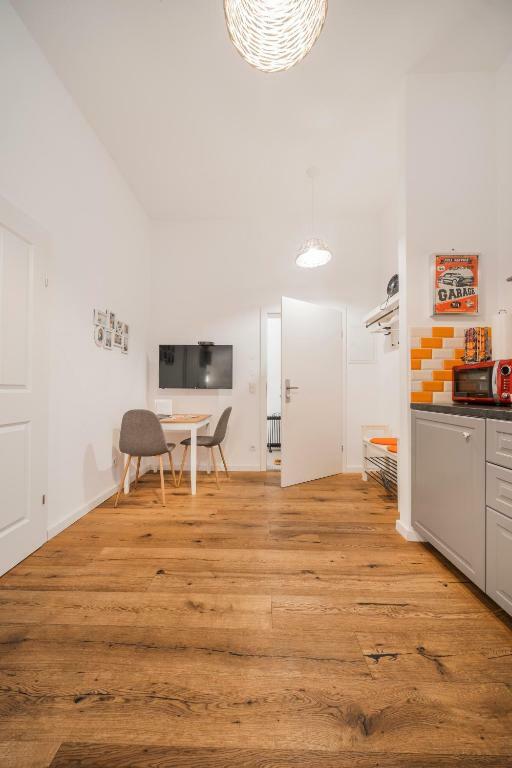 This split-level apartment comes with an open living room with a kitchenette, a dining area and a sofa bed on the lower floor, and with a bathroom, bedroom and separate toilet on the upper floor. This split-level apartment comes with an open living room, a kitchenette and a dining area on the lower floor, and a bathroom, a separate toilet and a bedroom on the upper floor. This bright and quiet studio is facing the inner courtyard. This bright and quiet studio is facing the inner courtyard and features a kitchen, a bathroom and a separate toilet. 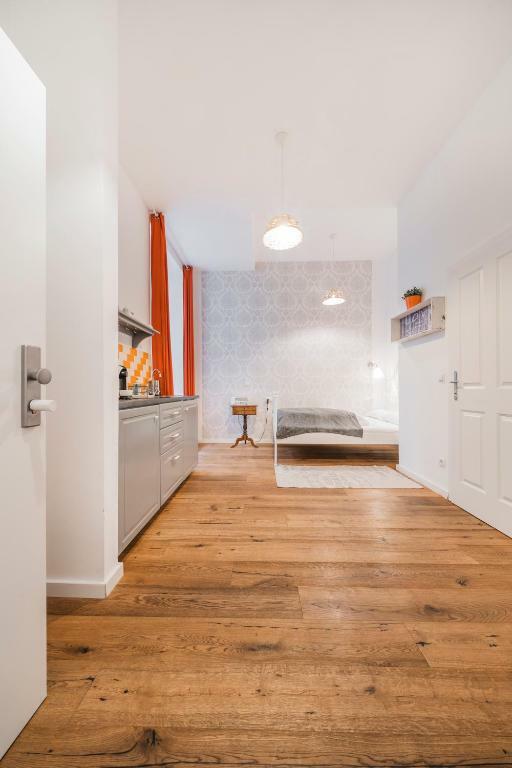 Bright apartment in modern vintage style with a kitchenette, an open living area, a bedroom and a bathroom with a walk-in shower. 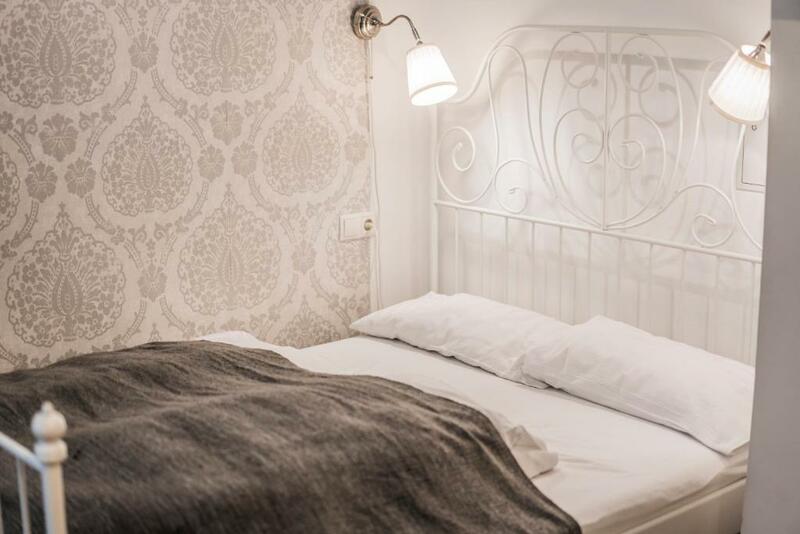 All the apartments are furnished in modern Vintage Style with lovely details and selected furniture. We have fullly equiped kitchen, a separate bathroom and a livingbedroom. The apartments have a very central location. You can reach two Metro lines between 5 and ten minutes by feet, also a bus is driving near the apartments. The inner city is reachable within ten minutes by Metro, as well as Mariahilferstraße with lots of Shops, Bars and Restaurants. The Viennese Naschmarkt with different market stalls and Coffee Shops is also not far away (two stations by Metro). You can find Supermarktes and an oriental grocery 3 min by feet from the apartments. 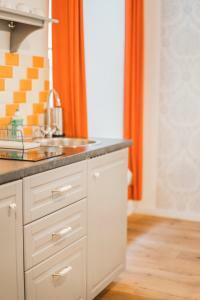 House Rules Vienna-Vintage-Apartment takes special requests – add in the next step! Debit card Vienna-Vintage-Apartment accepts these cards and reserves the right to temporarily hold an amount prior to arrival. 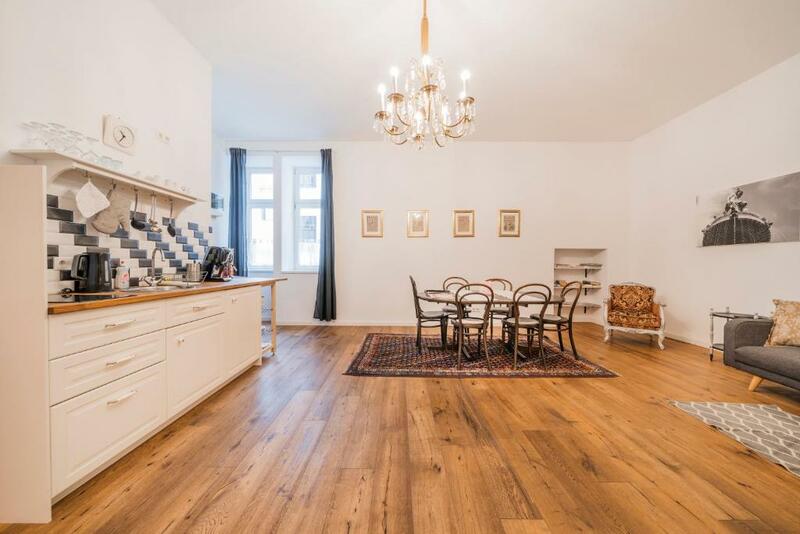 Vienna-Vintage-Apartment accepts these cards and reserves the right to temporarily hold an amount prior to arrival. Please note that there is no reception. Guests are required to inform the property in advance of their expected arrival time and of their preferred method of payment. Contact details are stated in the booking confirmation. Please note that only a limited number of parking spaces is available. Reservations before arrival are necessary. Alternatively, there is a public parking garage at Mollardgasse 21, 1,000 feet away. Please note further that the baby bed mentioned in the property policies is a portable cot. Please inform Vienna-Vintage-Apartment of your expected arrival time in advance. You can use the Special Requests box when booking, or contact the property directly using the contact details in your confirmation. The host was very kind and extremely helpful. We managed to get the lock code only the day before our trip, though the host promised to send it to me one week in advance. Also, the shower area needs to be improved - water leaks outside because there's no barrier. The room was great - truly vintage, neat and cozy. We lived in the room #3, it's located on the 1st floor and the window faces the courtyard, so the room is very quiet. Kitchen facilities are great, we just didn't use them much because spent most of the time outside. Wi-Fi is fast and stable. The bed is comfortable, maybe just a little narrow for two people. 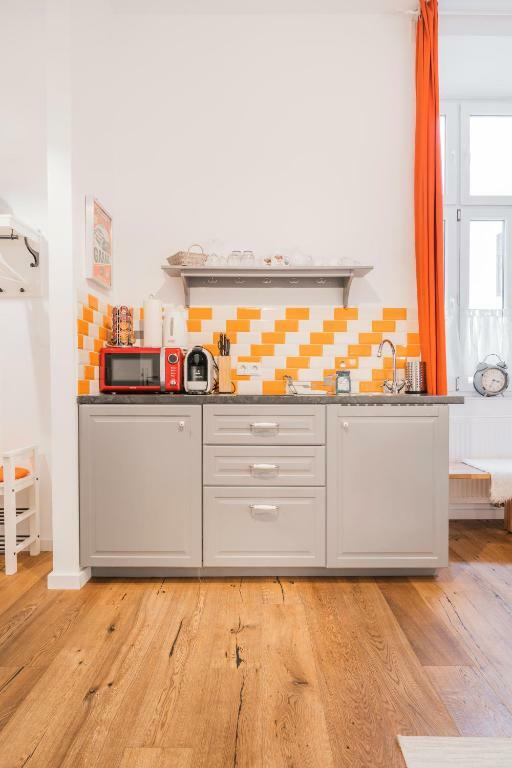 The location is great for this price: the city center is in about 20 minutes walk, good cafes and shops in 5-10 minutes walk, the nearest U-bahn station in 2-3 minutes. The way to the airport using U-bahn and CAT takes no more than 45 minutes. The location here is really great (near station), and the host there is friendly,too. We booked apartment for 4 persons, a family with 2 children, but we received one big room with only one bed for 2 persons! 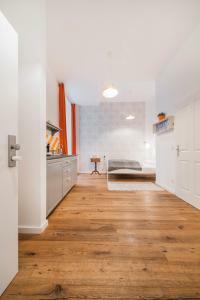 Location is great, just a few minutes from Ubahn and tram station. The apartment was very clean, comfy and lovely. It is new and has everything you need, including coffee machine, cooking plate, and toaster. Our host was helpful and welcoming. Definitely recommending this place! Beautiful apartment, with all the required amenities. The apartment is located right next to the metro . We had a very comfortable stay and the hosts were very accommodating! Pillows were flat as tacks. Carina was so helpful and provided us with all the information needed to have a great stay in Viena. The apartment was clean and comfortable and very close to the U station. The coffee machine is a great bonus. We are definetly coming back to Vintage Apartments. There was neither heating nor hot water available on the first day of stay at the place. The owner responded only after the staff of Booking.com stepped in to resolve the issue. Also, pillows are very small (thin), as has been reported by other people in their reviews. It was very clean, well appointed, with all the amenities one expects of such place and for such price. Had it not been for the lack of hot water and heating, and delayed response from the owner, it would've been a five star rating. 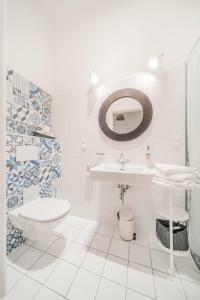 Great location, big flat with nice design. Easy to find, no key just codes. Parking place is just next to the house.